Too often when i think of pork chops, I think of just that: pork chops. Connotations of a grey colored cut of meat with not much to offer in terms of taste or appearance come to mind. 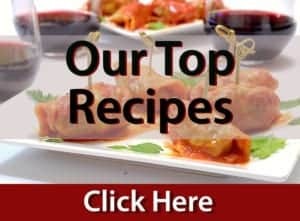 Often times I forget about the variations in cuts, preparations, and techniques for cooking, grilling, and baking them. This dinner I put together was a good reminder that for just a few bucks, our whole family could enjoy a terrific and nutritious meal featuring nothing other than, pork chops. 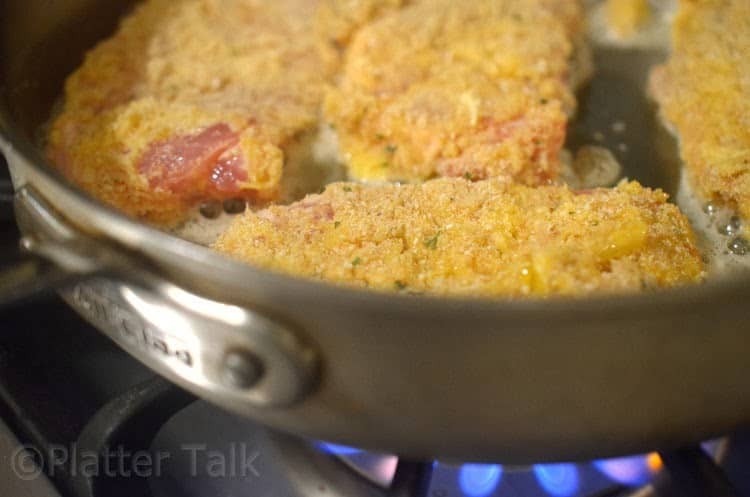 If you’re looking for flavor, ease, and a crowd pleaser at tonight’s dinner table, these Parmesan-Crusted Pork Chops will fit the bill on all accounts. In our kitchen, we have grown fond of thinly cut pork chops – they’re so easy to work with and they cook quickly. 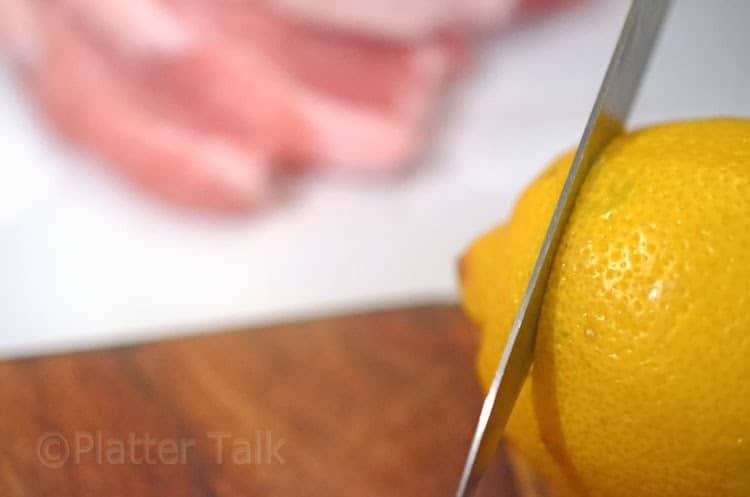 The lemon garnish used with this recipe adds more than curb appeal. 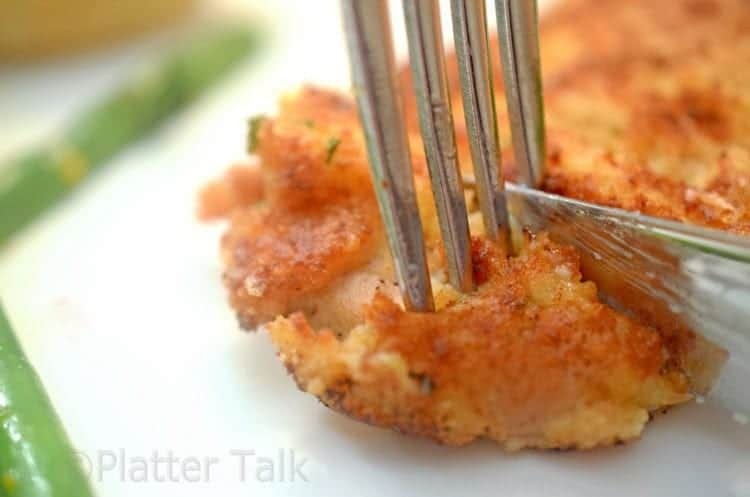 Combined with the grated Parmesan, its extra zing helps a once ordinary pork chop transcend do completely new level. 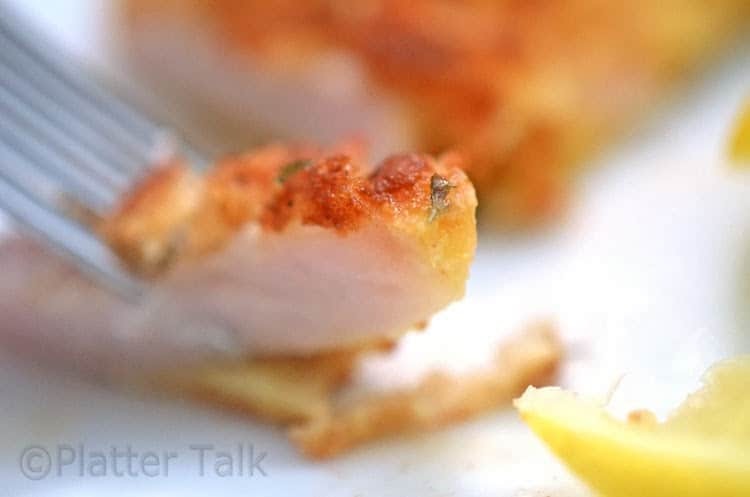 Although it has a distinct light taste of pork, the saute process along with the light coating and lemon combine to make this dish vaguely reminiscent of chicken picatta. Perhaps the best part of this meal, for our family, were the unanimous thumbs-up signals received from our kids. All around the dinner table, the consensus was that this pork chop recipe is an all around winner. I hope you will give it a try and as as always, let us know your thoughts. Place the bread crumbs in another small bowl. Place the cheese in a third small bowl. Sprinkle the pork chops generously with salt and pepper. Coat the chops completely with the cheese, patting to adhere. Then coat completely with the bread crumbs, patting to adhere. Heat 3 tablespoons of oil in a very large skillet over medium high heat. Add pork chops, in batches if necessary, and cook until golden brown and the centers are done. 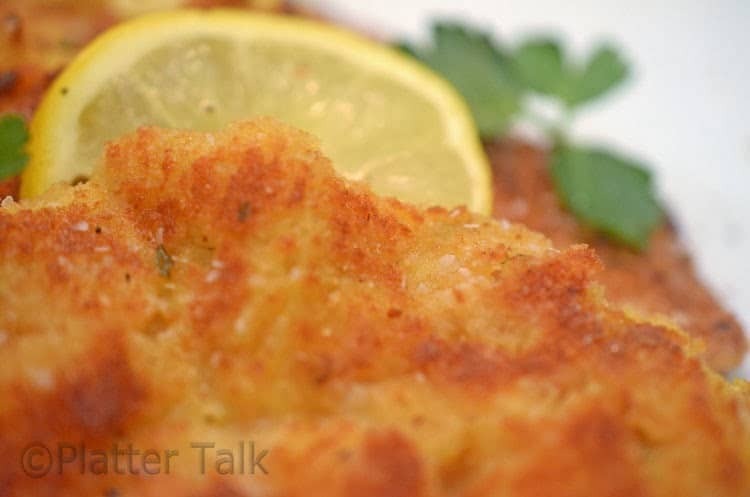 Transfer the chops to pre-warmed plates and serve with lemon wedges. « Ask the Chef. Butter: Taste the Difference. My family would eat pork chops over steak any day. Hate that pork has gotten so expensive that now it has become a treat meat not a weekly experience. 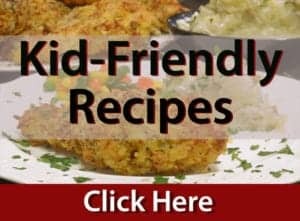 Love your recipe idea. Next time we are having pork chops I will be trying your suggestion for a nice family dinner. Thanks so much for taking the time to comment. Having a lot of chairs around our kitchen table, cost is always a consideration for meal planning with our family. That said, there are still deals to be had and when those opportunities present, we try run with them! 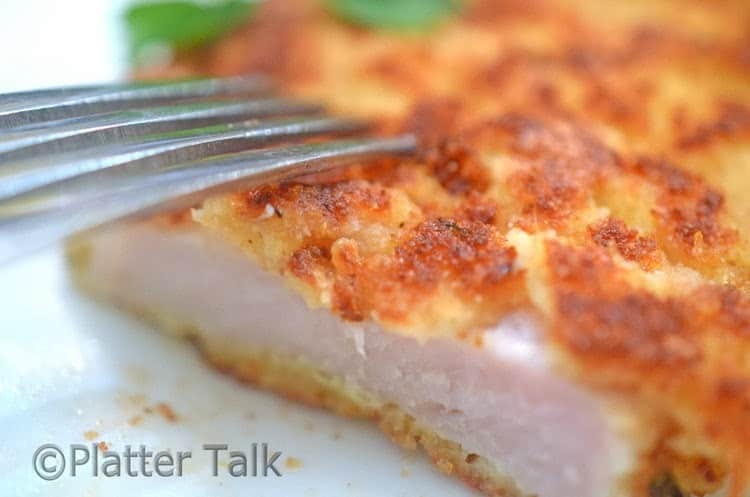 Oh, I make pork chops the same way – chicken too, and my family loves it. This is my first visit to your site, and it is lovely. I’ll be a regular visitor! 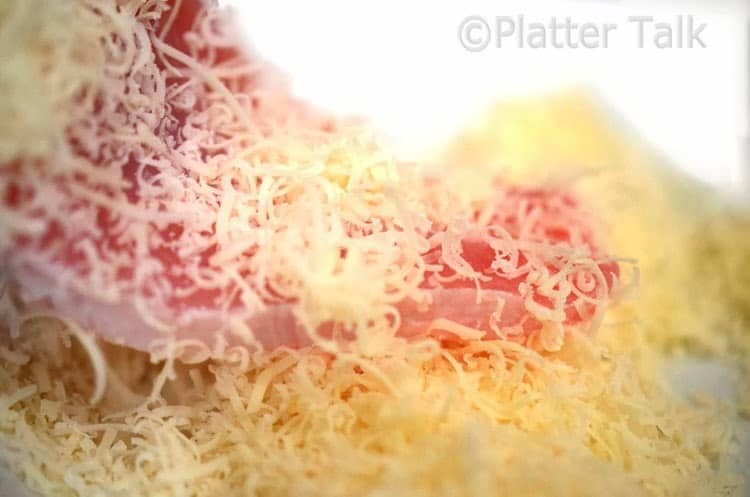 Welcome to Platter Talk! Thanks so much for stopping by and taking the time to comment. I’m sure this technique is delcious with chicken as well as pork! 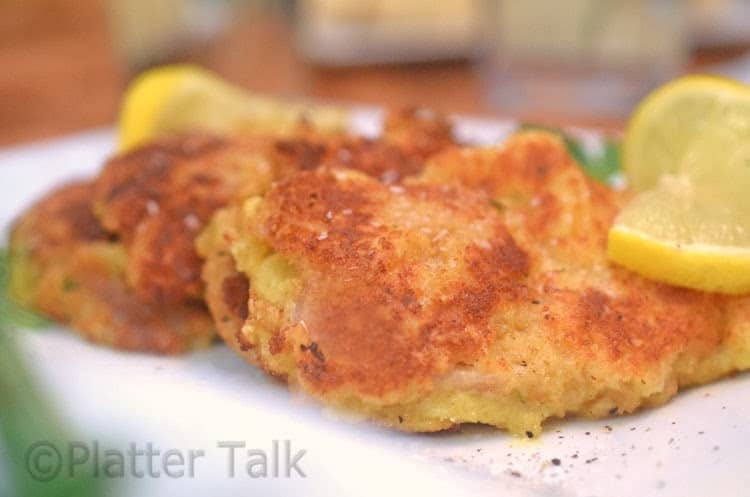 I gauge the taste of a dish depending on what my daughter says – if your boys gave yall a thumbs up, these chops tasted as good as they look and sound! Don’t you wish we all had scratch and taste monitors! I love the idea of a scratch and taste monitor! For good or bad, I seem to do a pretty good job of that myself when in the kitchen and I’m putting something together 🙂 Thanks for the great comments! This sounds delicious. 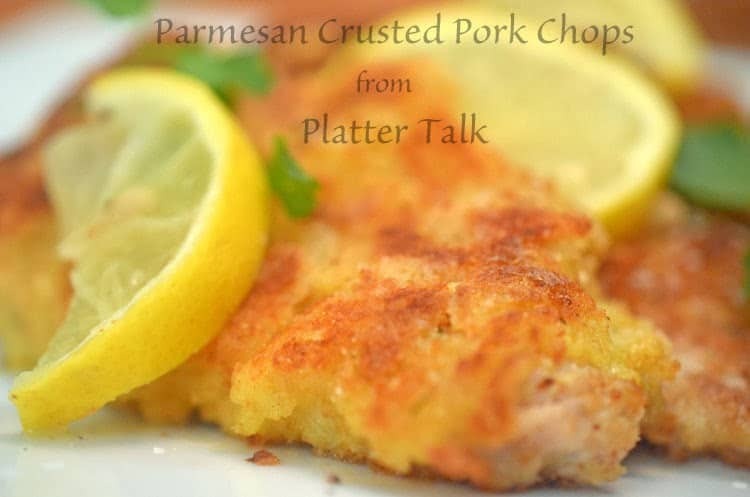 I love pork chops as is, but the parmesan crust and lemon makes it even more appealing to me! 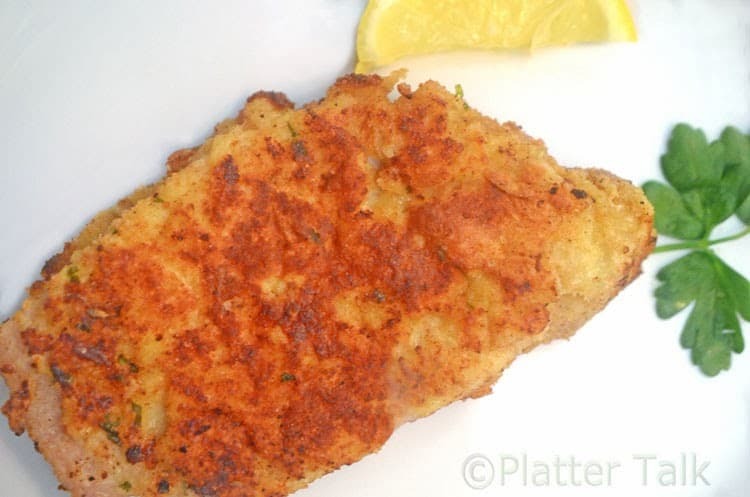 Thank you for the comments, I hope you will give this dish a try! There is distinct Italian “slant” to this dish, and I love it. Thanks for the comments! 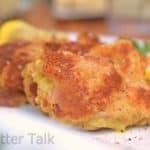 Such a great twist on pork chops! I’m glad you like the idea, it’s pretty delicious!